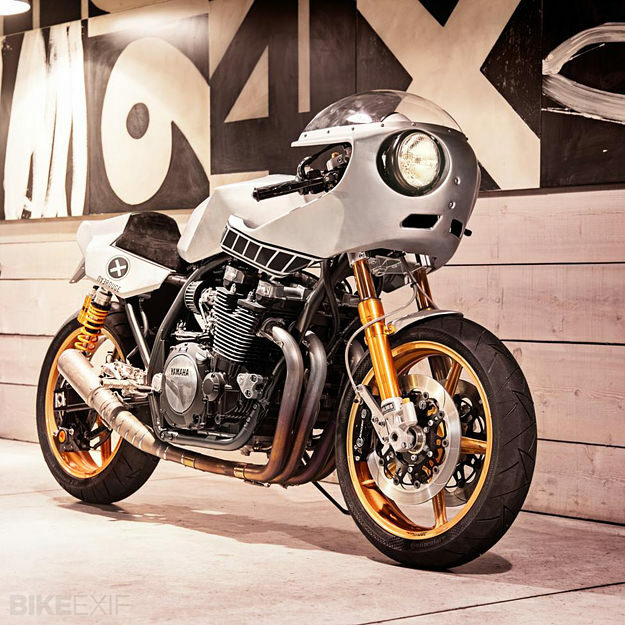 The latest ‘Yard Built’ custom this epic race-themed Yamaha XJR1300 from Deus’ Milan workshop. Inspired by the endurance machines of the 1970s and 1980s and nicknamed ‘Eau Rouge,’ it’s a modern reinterpretation of those iconic retro racers. Deus has added a modern twist to the semi-faired 1970s style, with straight lines and angular aesthetics. 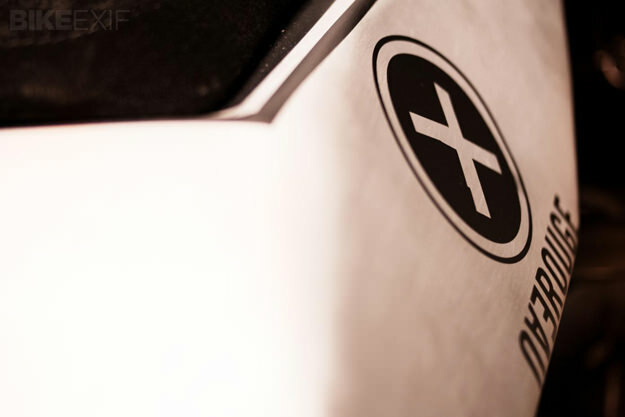 The seat unit, tank and ‘cyclops’ nose cone are hand-made, and finished in a special paint that replicates bare metal. 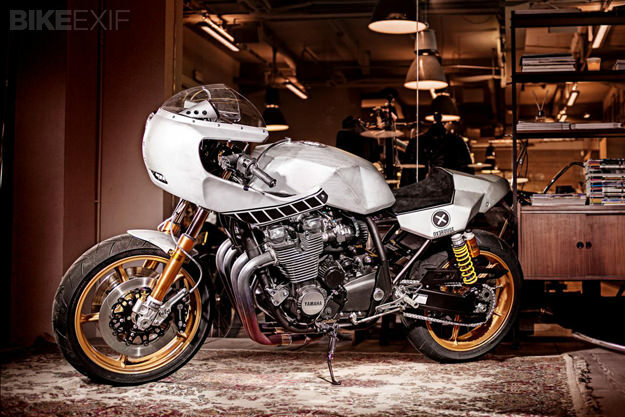 The stock Yamaha XJR1300 is no slouch, but Eau Rouge has been upgraded to match the racing theme. 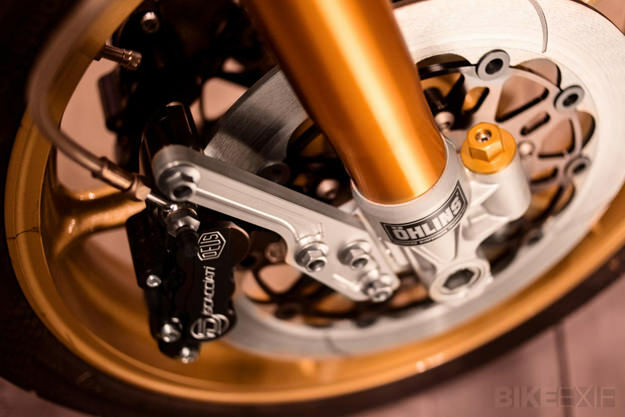 The forks are retro-styled Öhlins, the wheels are iconic Marvic five-spokes, and solid discs and engraved Discacciati calipers complete the look. 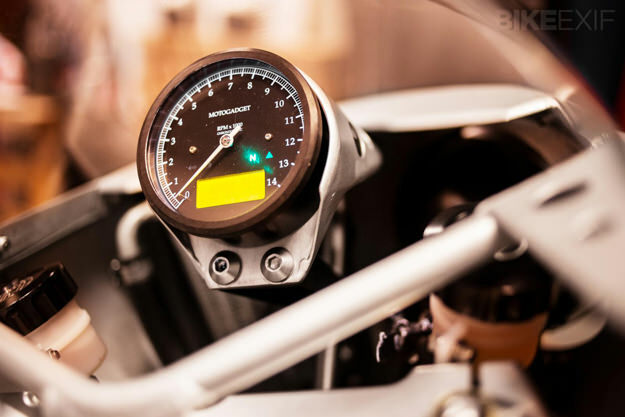 A short titanium 4-into-1 exhaust system frees up the engine breathing while twin Öhlins shocks and machined aluminum rearsets add to the sporting vibe. ‘Eau Rouge’ is designed to throw the spotlight onto Yamaha’s ‘Sport Heritage’ range—machines with a timeless design and a focus on raw mechanics. As well as the XJR1300, the range includes the VMAX, the XV950/R and the SR400 just relaunched in Europe. A range of custom parts is also in the offing for 2014, allowing owners of these machines to customize and upgrade them in the Yard Built style. 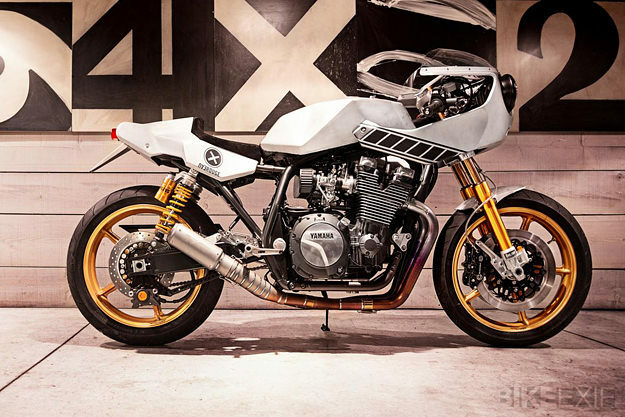 Get more info on this bike and the Yard Built concept via Yamaha’s Yard Built microsite.